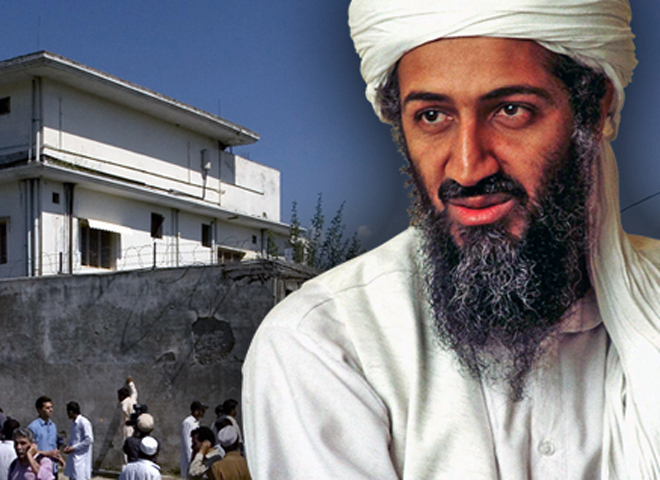 (CBS/AP) ABBOTTABAD, Pakistan - One year since U.S. commandos flew into this Pakistani army town and killed Osama bin Laden, Islamabad has failed to answer tough questions over whether its security forces were protecting the world's most wanted terrorist. Partly as a result, fallout from the raid still poisons relations between Washington and Pakistan, where anti-American sentiment, support for Islamist extremism and anger at the violation of sovereignty in the operation can be summed up by a Twitter hashtag doing the rounds: 02MayBlackDay. The Pakistani government initially welcomed the raid that killed bin Laden in his three-story compound, but within hours the mood changed as it became clear that Pakistan's army was cut out of the operation. Any discussions over how bin Laden managed to stay undetected in Pakistan were drowned out in anger at what the army portrayed as a treacherous act by a supposed ally. CBS News correspondent Clarissa Ward reports that Abbottabad is a popular retirement destination for members of the Pakistani military - it was described by one former resident to CBS News recently as the kind of place where nothing you did went unnoticed. The Pakistani army was already accused of playing both sides in the campaign against militancy, providing some support against al Qaeda but keeping the Afghan Taliban as strategic allies. A week after the raid, President Obama told "60 Minutes" bin Laden had a "support network" in Pakistan and the country must investigate how he evaded capture. (Click here to watch the interview) Pakistan responded by announcing the formation of a committee to investigate bin Laden's presence in Pakistan as well as the circumstances surrounding the U.S. raid. Soon after it began its work, the head of the committee said he was sure that security forces were not hiding bin Laden. Other statements since then have also suggested the report will be more of a whitewash than a genuine probe. Last week, committee spokesman retired Col. Mohammad Irfan Naziri said its findings were being written up but they might not be released publicly. "We're disappointed," said a U.S. official about the investigation. "They promised to do it, but they haven't yet." The public line of the Obama administration is that no evidence has emerged to suggest bin Laden had high-level help inside Pakistan. Pakistan's Inter-Service Intelligence agency said bin Laden's long and comfortable existence in the country was an "intelligence failure." But suspicions have increased following recent disclosures by one of bin Laden's wives in a police interrogation report that the al Qaeda leader lived in five houses while on the run and fathered four children, two of whom were born in Pakistani government hospitals. "I just find the idea that he lived in a place like Abbottabad without the ISI's knowledge strains credibility," said Shawn Gregory, director of the Pakistan Security Research Unit at Bradford University in the U.K. "It is ridiculous that he wasn't being protected." Since the raid, Pakistan has tried to close one of the most notorious chapters in its history. The three-story compound in Abbottabad that housed him for six years was razed by bulldozers in a surprise, nighttime operation. Just last week, his three wives and 11 daughters, children and grandchildren were deported to Saudi Arabia (video); their side of the story is unlikely to be told anytime soon. In this relatively wealthy and well-ordered town that has become infamous for hosting bin Laden for so long, it's hard to find anyone prepared to say they supported the American operation. Many don't believe bin Laden ever lived in the house, reflecting the popularity of conspiracy theories in a country where the rulers often obscure the truth. Umair Ishaq, who grows vegetables close to the empty lot, said he remained angry about the raid. "You go there to the compound, there is a still a fragrance from those who were killed," he said, referring to Islamic belief that those who die as a martyr to the faith give off a sweet smell at death. "They were innocent and they were martyrs." Most of the rubble has been hauled away from the site, on which local children now play cricket. Farmers cross over it on their way to the fields, and on a recent day older boys were smashing away at bits of masonry, trying to extract the metal poles inside so they could sell them. After the helicopter-borne operation, the country's generals retaliated by kicking out U.S. special forces trainers operating close to the Afghan border, cutting intelligence cooperation with the CIA and restricting the travel of foreign diplomats and aid workers. Authorities arrested a Pakistani doctor who assisted America in tracking down bin Laden. The doctor remains in detention, facing possible treason charges. The country has made not made public the arrests of anyone connected bin Laden's time on the run. Relations had barely recovered when in November U.S. air strikes inadvertently killed 24 Pakistani troops along the Afghan border. Pakistan immediately blocked U.S. and NATO supply routes across its soil into Afghanistan. They remain shut, despite U.S. attempts to renegotiate a new deal with Pakistan. After air strikes, Pakistan calls for change in partnership with U.S.
CBS News' Ward reports that there have been renewed efforts to repair the relationship between Islamabad and Washington, but persistent stumbling blocks remain - such as U.S. frustration that Pakistan is not doing enough to crack down on its domestic militants and Pakistani anger at American drone attacks which it says violate sovereignty and kill civilians. Both sides have strong incentives to get relations back on track. The U.S. would like to see its NATO supply lines through Pakistan re-opened, and Pakistan is waiting for more than a $1 billion in U.S. military aid that has been put on indefinite hold. Senator Dianne Feinstein is in Pakistan this week for talks with the Pakistani government, and U.S. envoy to the region Marc Grossman is scheduled to return on Thursday, after talks broke down last week. The road ahead is long and undoubtedly rocky, but for the first time in a year, Ward says there's a sense that both sides may be ready to try, once again, to navigate it. Even before the raid, anti-American sentiment was so rampant in Pakistan that anyone who opposed Washington was lauded by many sections of society. Bin Laden was no exception, even as his followers carried out numerous bloody attacks inside the country. "OBL was considered as a hero by the general public at large, and his death generated a lot of sympathy," said Aftab Khan Sherpao, a lawmaker from the northwest who has three times been targeted by Islamist militant suicide bombers. "No one has been able to control and contain his supporters." Despite reservations about Pakistan's commitment to U.S. goals in Afghanistan and doubts over how bin Laden managed to evade capture for so long, the Obama administration feels it has little choice but to ally itself with the country. Pakistan has nuclear weapons and will remain important in the fight against al Qaeda in years to come. Many believe Islamabad's cooperation will be essential for getting any Afghan peace deal to stick, allowing the U.S. to withdraw troops.